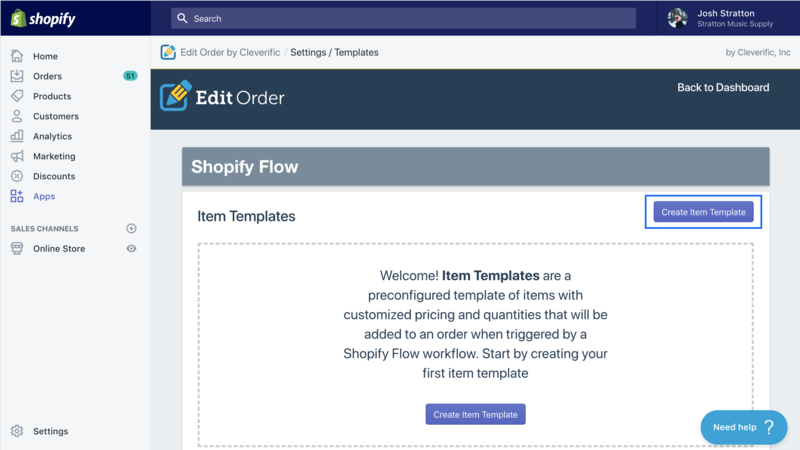 This article explains how to create an item template using Edit Order, which is the fist step for using Edit Order’s Shopify Flow connector to add an item to an order automatically after the order has been placed. Enter the Title for your item template. 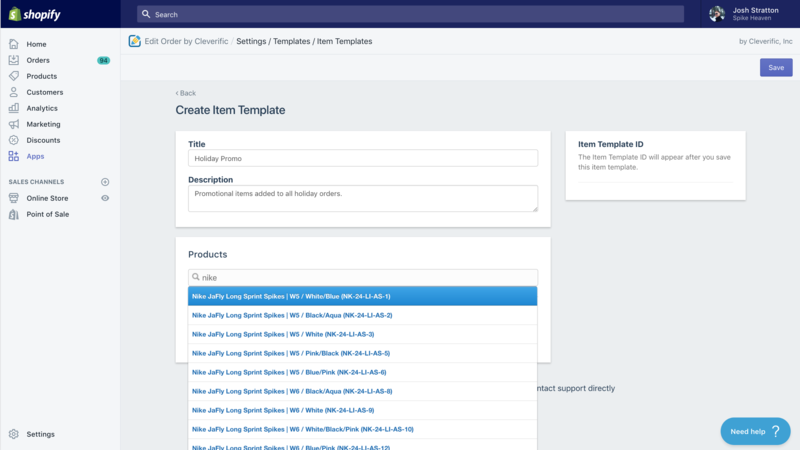 A description is optional but may help you distinguish between other similar item templates. 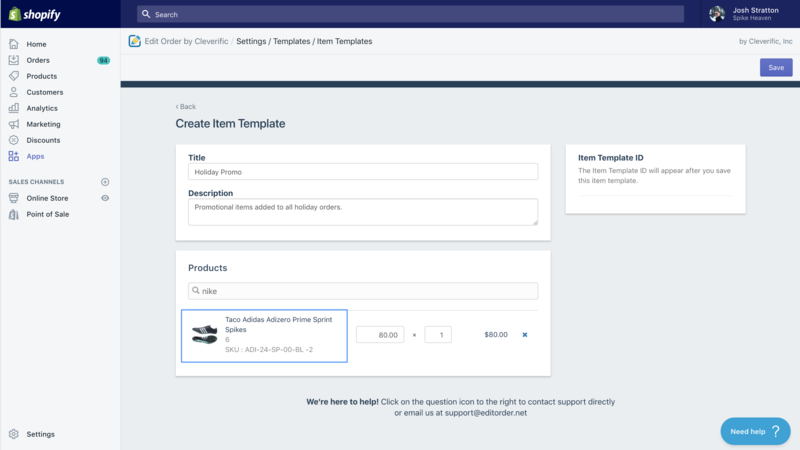 Now that you've created an item template, you'll be ready to assign it to a Shopify Flow workflow. 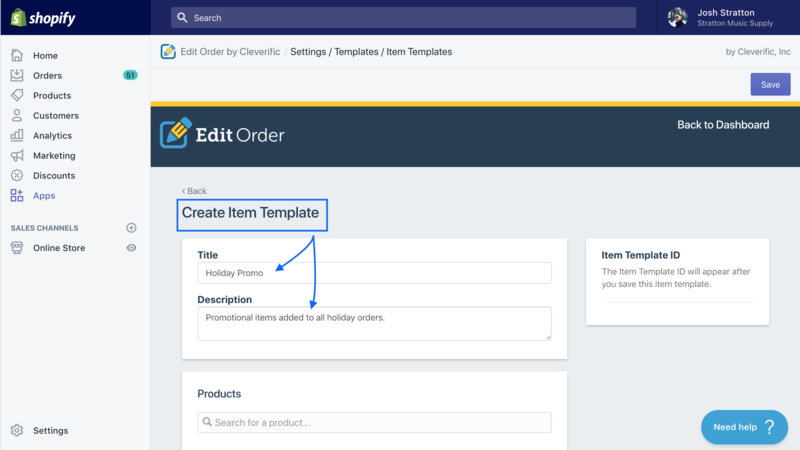 See our promotional items guide next for how to assign your item template to your Flow workflow. Got questions? Drop us a line at: support@editorder.net.